Hogwarts School of Witchcraft and Wizardry becomes Hogwarts High, where students arrive in pick-trucks instead of rowing boats. One such student is Hermione played by Megan Fox, wearing too few clothes for school, let alone a family film. 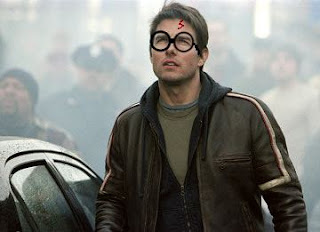 In a controversial, money-making scheme, Tom Cruise is cast as Harry. Cruise perfectly embodies all that is ludicrous in Hollywood, plus he’s about the right height for a schoolboy, which is handy. The role of Sirius Black is handed to Johnny Depp, who gives an alright performance until his death in the fifth film, where confused script writers have him eaten by the Kraken. Confused by his ever-changing accent, studio executives mistake Christian Bale for an American and cast him as Voldemort. Unfortunately, in an attempt to once again prove how ‘method’ he is, Bale goes on a killing spree and scars a baby’s forehead to prepare for the role. The one saving grace is that Morgan Freeman wouldn’t make a bad Dumbledore, but that’s not enough. What we’re left with is nonsensical, Michael Bay-directed, explosion-filled waste of time that would tarnish the Potter name forever. Basically, Transformers but with House Elves.